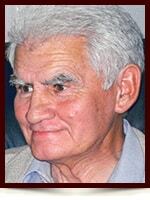 Milan Erdelj - Edmonton's Burial & Cremation Professionals | Trinity Funeral Home Ltd.
On April 25, 2017 Milan Erdelj passed away peacefully at the age of 78. Left to cherish his memory are Margaret, his wife of 50 years, nephew Dmitar (Zofia) with his children Radomir and Violeta and their families. In respecting Milan’s wishes, cremation has taken place and no services will be held.